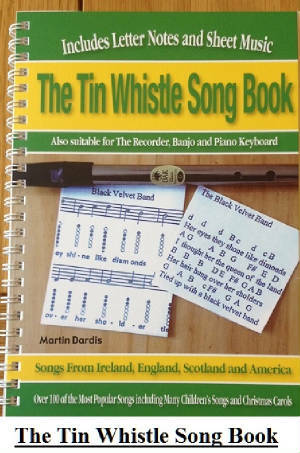 Happy Birthday Tin Whistle Sheet Music. Here's one ever one should learn, you never know when you'll be called upon to play it at a birthday party, be prepared. I have included a youtube video to show you the notes that I play. The one above is the easy version which has the basic notes only. The one below is in the key of C Major and goes much higher that the other one.